The Kanto plain consists of the prefectures Ibaraki, Saitama, Tochigi, Tokyo, Chiba, Gunma, Kanagawa. Sometimes Yamanishi is included as well. 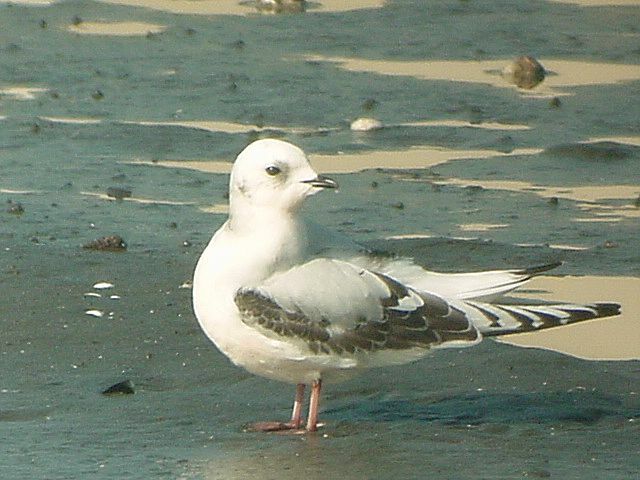 Ross's Gull in Yatsu Higata Nov 25, 99. Picture copyright with Asuka-san. Currently (Feb 14, 2000) the bird can still be there. Februari 12, 2000. Wryneck and Bufflehead but no Steller's eagle at Hinuma. Februari 11, 2000. A Smew drake and Whoopers at Ottonuma and a Ferruginous Duck at Kashiwa-no-ha. Aug 28-29, 1999. Waders in Tokyo Bay and Azuma-machi and Amada. Januari 12, 1999. Morning impression from Douhou Koen. Januari 9, 1999. Dalamatian Pelican: Hinuma and Kitaura. Januari 2, 1999. Ikenaga-sans New Years Birding to the area around Mito. Januari 2, 1998. Ikenaga-sans New Years Birding to the area around Mito. Januari 3, 1998. From Onogawa to Edosaki along the Onogawa. Januari 4, 1998. Hirabayashi Day, Shishitsuka-ike, Ottonuma, Edosaki, Ukushima. Januari 10, 1998. From Baikal teals to Water rail: Ottonuma, Hinuma and Takahama-coast of Kasumigaura. Januari 17, 1998. HASHIMOTO Hiroshi-san reports of a kamo-count in Doho-koen and Ottonuma in respectively Tsukuba and Tsuchiura city. Januari 17, 1998. Katayama-san reports of a kamo-count along the SW corner of Kasumigaura. The count was made for the Yachounokai. Januari 25, 1998. Omonma Birding with Asuka-san, Omonma between Kokaigawa and Tonegawa, Ukushima and Edosaki. Februari 11, 1998. National Foundation Day. April 11, 1998. Northern Tozaki-coast of Kasumigaura, report by Ikenaga-san. April 18, 1998. Northern Tozaki-coast of Kasumigaura, report by Neil Ferguson. April 19, 1998. Southern Ami-coast of Kasumigaura. April 25, 1998. South coast of Kasumigaura. April 29, 1998. Along the Onogawa to Miho and Kasumigaura. October 18, 1998. Sanbanze and Yatsu after typhoon number 10. March 1, 1997. Results of a Birdathon in Ibaraki. We observed some 80 species. April 6-7, 1997. Summary of observations from the Kantori list. April 12-13, 1997. Summary of observations from the Kantori list. Full results of the Kasumigaura counting near Tozaki and Edosaki. April 19-20, 1997. Impressions of Yatsu and Sanbanze on Saturday and a counting along the south coast of Kasumigaura on Sunday. April 26-27, 1997.Songbirdweekend. Impression of the area around Nantai-san, the top of Tsukuba-san, Oike and Tozaki. December 28, 1997. Visit to the Tsuchiura/Edosaki side of Kasumigaura. December 10, 1995. My first visit to Kasumigaura and Kitaura, the big lakes between Tsukuba and the Pacific. A list of annotated bird observations, initially based on daily commuting in Tsukuba and later on extended with the observations made in other parts of Ibaraki. The first observations date from December 1995. Ross's Gull in Yatsu Higata Nov 25, 99. Picture copyright with Asuka-san. Yatsu tidal flat: between Tokyo and Chiba at the Tokyo bay: a tidal flat in the middle of highways, houses and highrises. Yet, a perfect wader site. Some visits April 5, 1997. April 19, 1997. May 11, 1997. Yatsu Higata Nature Observation Center: their new homepage. Imba-numa A morning visit at July 12, 97. The lake is a rem(a)inder of a former river and surrounding marshlands. Excellent spot for herons, bitterns and Japanese reed bunting. This is a bird sanctuary of the Wild Bird Society of Japan in the highly developed harbour area of Tokyo close to Haneda airport. This is a new park next to Disney World in the east bay area of Tokyo. The shallow bay, and the mudflats attract big numbers of waterfowl. Ueno pond is the large pond adjacent to Ueno Zoo in the centre of Tokyo. In the middle of the city it is a rather unexpected refuge for wintering waterfowl. The forest garden around the Meiji-jingu (a Shinto-shrine built in 1920) offers despite all the visitors quiet corners for birdwatching. Around Hatoyama and Takasaka: A modest list of annotated bird observations around the Hitachi lab in Hatoyama. Most observations are made while commuting by bike between Takasaka (on the Tobu-tojo line 1 hr north of Tokyo) and Hatoyama, Saitama-ken, Japan, from July 1, 1995 until July 1, 1996. A former marsh land area (roughly 1000 hectare) in between two main rivers just before they flow together and join the Tonegawa river. Yamanakako is one of the five lakes around mount Fuji. I was there in spring at a seminar of Tsukuba university, just in time to see some courtship display of the Falcated teal. Back to main page Last modified: Januari 10, 1998.